The All Slots casino, licensed in Canada and founded in 2000, is a member of the Jackpot Factory group of casinos, which is a group of four of some of the best online casinos on the web and was voted by Casinomeister as the best casino group for two years running. All Slots has also been accredited with the eCOGRA Seal of Approval. All Slots has won a number of high profile awards, including ‘best slots casino’ according to Online Gambling Insider, Casino Man, Gambling Kingz and Top Gambler. 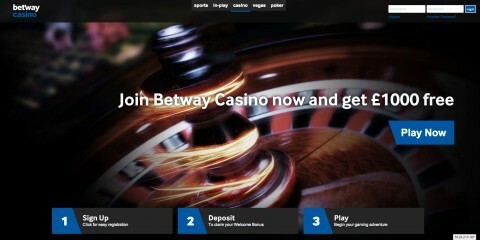 It was also awarded ‘best overall casino’ by Got2Bet. 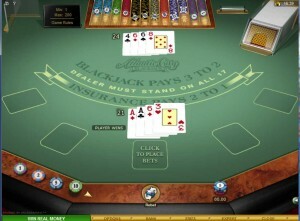 All Slots online casino claims to have the largest variety of games on offer of any online casino. 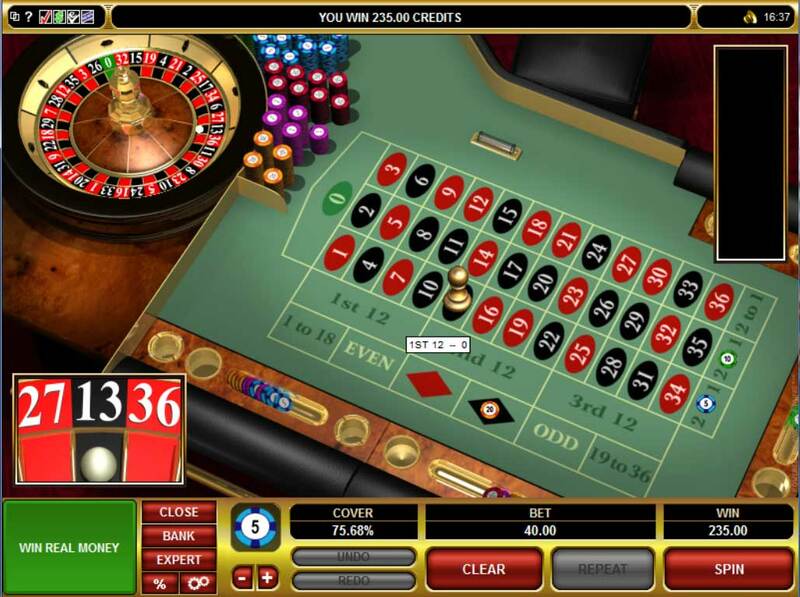 It certainly takes some beating, with over 200 slot games alone, including 3-reel classic slots, 5-reel video slots, progressive slots, and ‘UK-style’ fruit machines. The casino also offers a wide range (more than 200) additional games which include classics like blackjack, poker, video poker, roulette, craps, keno and baccarat. 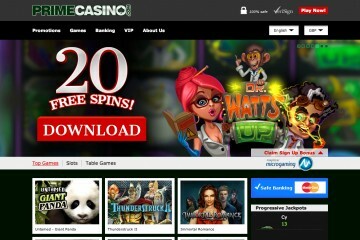 New games are added to the online casino each month to whet the users appetite. 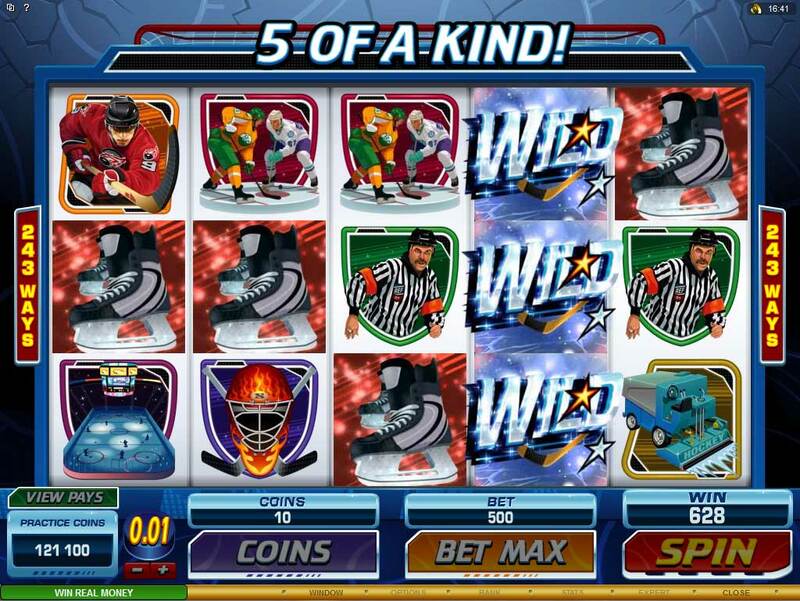 The All Slots casino uses games provided by software manufacturer, Microgaming. 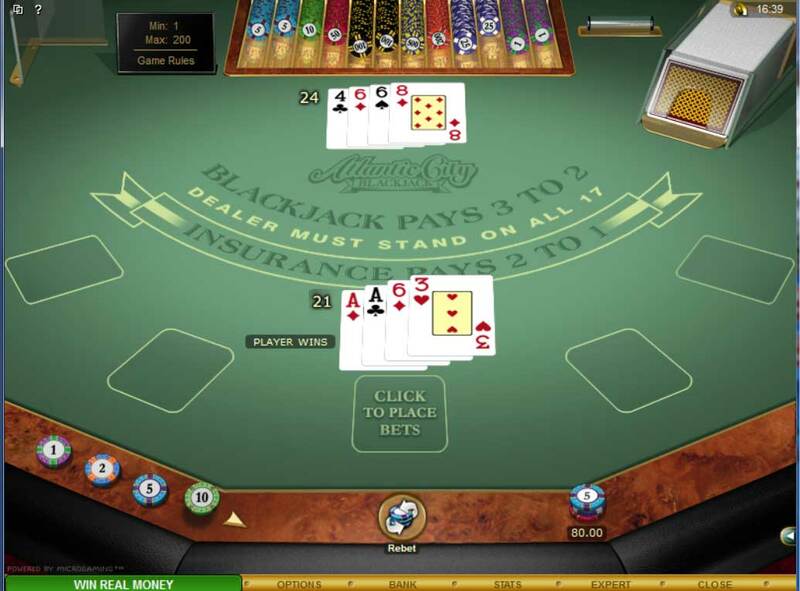 Games can be played after downloading the casino software or alternatively can be played in the user’s browser. 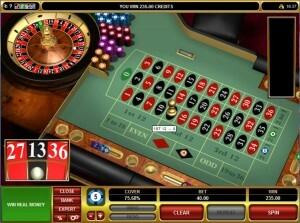 Microgaming is renowned by many as being the best provider of online casino games. 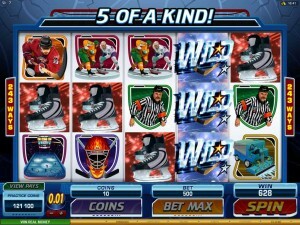 With fantastic graphics, realistic sound effects and easy to use betting options, it gives you the sensation of actually being at a real life casino. The All Slots casino homepage is a little cluttered but the drop down menu at the top of the page provides easy navigation and holds host to an extensive selection of information and navigational options. For example there are 6 different drop down pages for banking and 5 just for the section titled ‘security.’ The website looks professional and each page contains a number of in-text links, helping the user move quickly and efficiently to specific areas of the site. There are fourteen different ways to deposit money at All Slots, including via all major credit and debit cards. All transactions are facilitated through Inexia Ltd. There are a similar number of withdrawal methods as well. All Slots claim a “fast, hassle-free withdrawal processing.” Withdrawals are processed between Mondays and Fridays, following a 48-hour pending state, in which time you can cancel the withdrawal. A frequently asked questions section at the bottom of the withdrawal page gives users comfort and security by specifically outlining the banking terms and conditions. 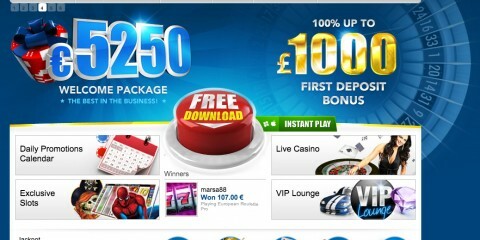 A range of different promotions are on offer at All Slots. 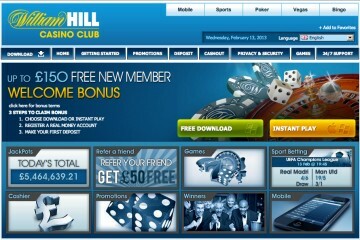 A 100 percent first deposit bonus on any amount up to $200 is on offer for newcomers. 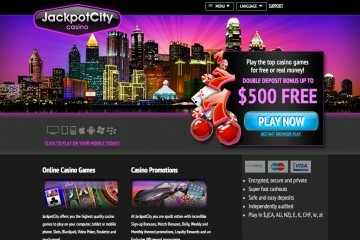 Additionally, there is a 10 percent bonus on any deposit made. Between the 1st and 7th of each month, customers have the chance to win a share of $5,000 in prize money simply by betting on the casino tables. 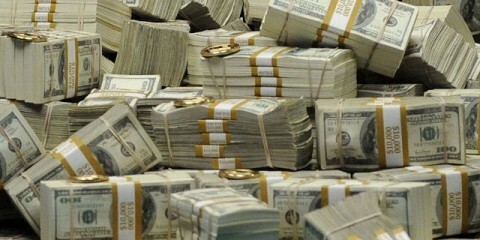 Whether you win or lose, every wager on eligible table games takes you up the scoreboard towards a big bonus. 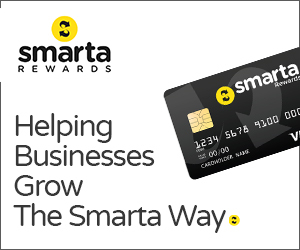 A points for cash system to encourage ‘loyalty’ is also on offer. Loyalty points can be exchanged as such: a £10 bet will earn you 1 point. 1,000 points collected can be exchanged into £10 cash. There are a couple of other promotional offers available as well. 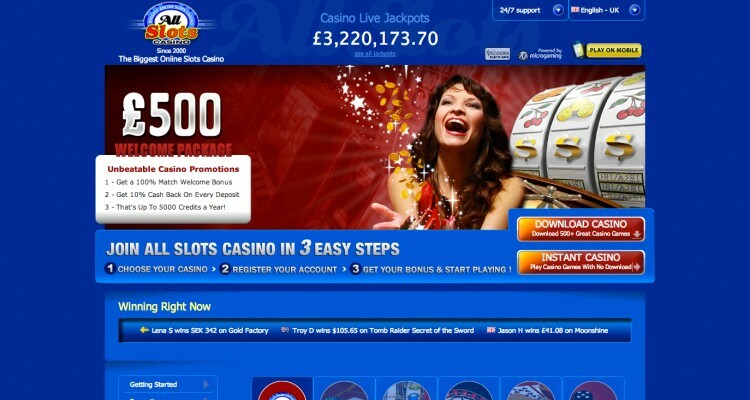 All Slots has 24/7 support as with all other major online casinos. 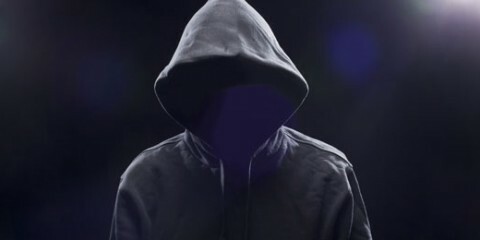 However it does not have an online chat service as many others do. 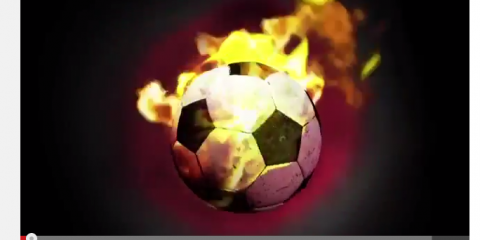 The support section of the website has an FAQ page, one for Game Tutorials and another with the Terms and Conditions. Support staff can be called (toll-free) or emailed anytime of the day. A fantastic online casino with an enormous variety of games, an extensive website providing all relevant information and much more. 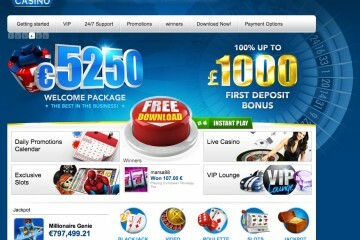 Promotions and bonuses are good, as is the website’s support. It is no wonder why it has received so many awards and is considered to be one of, if not the best, online casino around (9/10).